Disa Gudmundsdottir looks comfortable being the accidental restaurateur as we chat over a couple of drinks at her cafA� and fashion store Dis Dis & Co on 45B Romain Rolland Street, Pondicherry. Opened just last week, the cafA� came as an afterthought to Gudmundsdottir when she went about looking for the right space for her store. 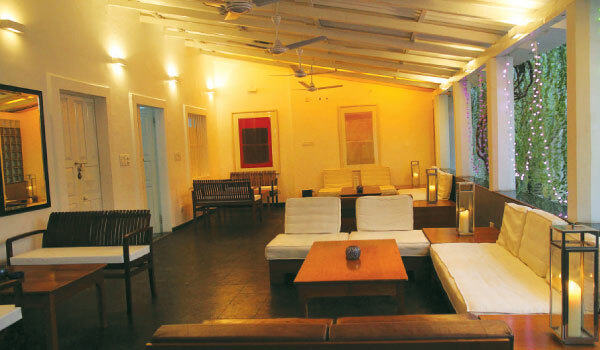 Of course her partner Upendra Tripathia��s experience in hospitality (he owns LB2 lounge on Rue Labourdonnais) was essential to convert the 2,000 sq ft house into a multi zone fashion cafA� with a bar, outdoor lounge and dining area. We start our evening with a guava long tea and a classic mojito and recommend the Bombay calamari (a fresh take on a chaat in a papad basket) and country bacon salad for starters. 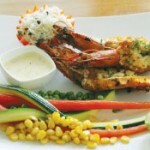 Upendra says this is easily one of their best dishes. 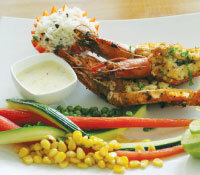 For mains we try grilled prawns with fries and vegetables and a steak, before finishing with a Moelleux au Chocolat (or chocolate lava cake) and a scoop of vanilla ice cream. a�?We plan to add a tandoor and then a pizza oven,a�? says Tripathi. Gudmundsdottir adds, a�?Ever since I became a mother, I kept wondering how parents manage to dine out, till I came up with the perfect solution, a crib!a�? Dis Dis & Co will soon have a childrena��s room with two nannies. And if you prefer healthy meals, look forward to organic ingredients, more salads, raw foods , sushi, and special Sunday brunches, starting soon.